(Bryan, TX, June 29, 2016) ― CHI St. Joseph Health Regional Hospital received the American Heart Association/American Stroke Association’s Get With The Guidelines®-Stroke Silver Plus Quality Achievement Award with Target: Stroke Honor RollSM Elite Plus. This award recognizes the hospital’s commitment to ensuring that stroke patients receive the most appropriate treatment according to nationally recognized, research-based guidelines established by the latest scientific evidence. To receive the Silver Plus Quality Achievement Award, CHI St. Joseph Health achieved at least 88 percent on seven of the eight Get With The Guidelines-Stroke achievement indicators for 12 consecutive months. Additionally, during that same period, CHI St. Joseph averaged 88 percent compliance with all eight Get With The Guidelines-Stroke Quality measures. To qualify for this target, CHI St. Joseph met quality measures designed to reduce the time between the patient’s arrival at the Emergency Department and treatment with the clot-busting tissue plasminogen activator, or tPA, the only drug approved by the U.S. Food and Drug Administration to treat ischemic stroke. When administered in the first three hours after the start of stroke symptoms, tPA has been shown to significantly reduce the effects of stroke and lessen the chance of permanent disability. These quality measures confirm that CHI St. Joseph Health offers the current, evidence-based treatments with the goal of speeding recovery and reducing death and disability in stroke patients. In addition to the Silver Plus Quality Award, CHI St. Joseph Health is also recognized as a Primary Stroke Center, or Comprehensive Stroke Center. This means the hospital offers a comprehensive program for the rapid diagnosis and treatment of stroke patients who come into either our Regional Hospital or South College Station Emergency departments. Bryan, Texas (May 25, 2016) – We are pleased to announce that Kia Parsi, M.D. has accepted the position of Chief Medical Officer (CMO) for CHI St. Joseph Health, which will become effective in July. As a member of CHI St. Joseph Health Medical Group for 17 years, Dr. Parsi has an unparalleled commitment to serving our patients and our Mission. He brings a considerable amount of experience in physician leadership, currently serving as Medical Director for the Caldwell Family Medicine Center, Chairman of the Board of Directors for both CHI St. Joseph Health’s Clinically Integrated Network and Accountable Care Organization and Medical Director for the senior service line – one of our fastest growing and most critical initiatives. “What makes Dr. Parsi such an attractive choice for CMO is not only his experience – but also his values, character and vision. Dr. Parsi is in a unique position to use his forward-thinking approach along with his personal understanding about the challenges providers are facing and the intricacy of hospital and clinic operations to help rapidly advance our performance as a system and our market leadership,” said Rick Napper, President & CEO, CHI St. Joseph Health. As CMO, Dr. Parsi will provide physician oversight for the provision of care at our acute and ambulatory points of access. Connecting all points of access throughout the care continuum through medical oversight is critical as we advance delivery models, elevate standards of care, and continuously pursue a systemness approach for the coordination and optimization of patient care. “As we continue to evolve our business model to better meet patient expectations and the increasing quality standards, it is critical we have a physician leadership structure in place that facilitates a multi-disciplinary and comprehensive approach throughout the entire system. This structure, combined with Dr. Parsi’s natural ability to bring teams together in a productive, respectful and collaborative manner will serve us well,” said Napper. 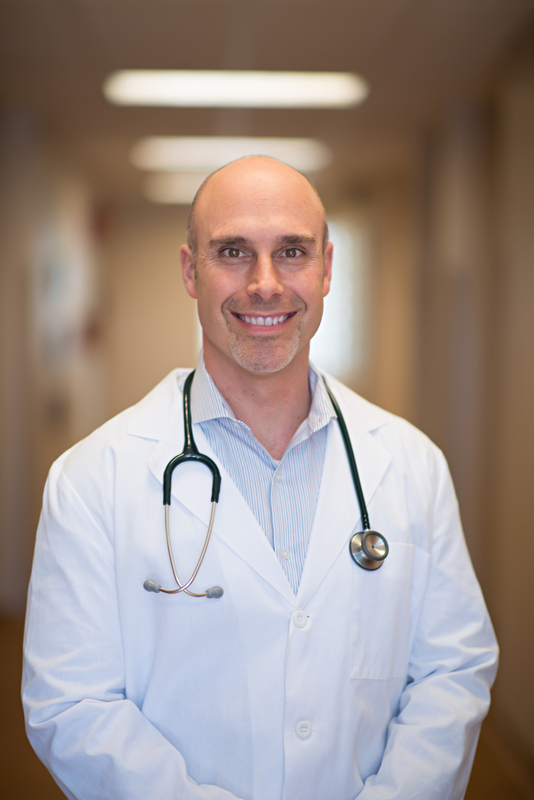 Dr. Parsi earned his Doctor of Medicine degree from Baylor College of Medicine in Houston and his Bachelor of Arts degree from the University of Texas at Austin. He is a member of the American Board of Family Practice, American Geriatrics Society and the Texas Medical Association.